How’s that strict gun control working for you? The violence of Mexico’s drug war has claimed the lives of nearly 8,000 people in just three months, further substantiating the U.S. State Department’s “Do Not Travel” recommendation. The horrifying numbers increased from last year by over 1,000 violent deaths. At this time in 2017, the figure stood at 6,406. 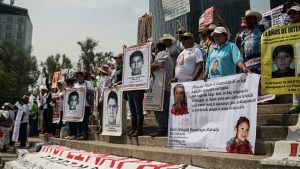 Should the bloodbath continue, the entirety of 2018 could very well top Mexico’s 2017’s death toll of 25,339 — the highest number since Mexico began gathering statistics 10 years ago.